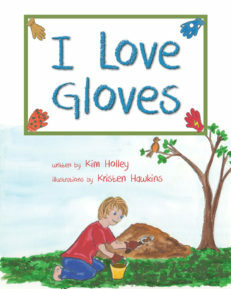 An adventurous and imaginative little boy spends the summer on his Grandparents’ farm. 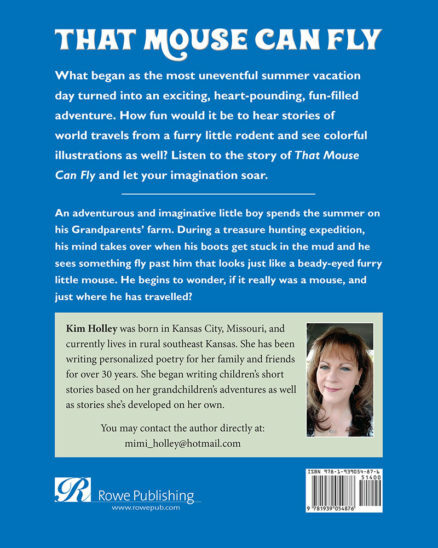 During a treasure hunting expedition, his mind takes over when his boots get stuck in the mud and he sees something fly past him that looks just like a beady-eyed furry little mouse. He begins to wonder, if it really was a mouse, and just where he has travelled? What began as the most uneventful summer vacation day turned into an exciting, heart-pounding, fun-filled adventure. 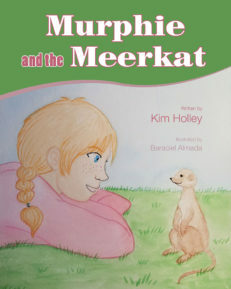 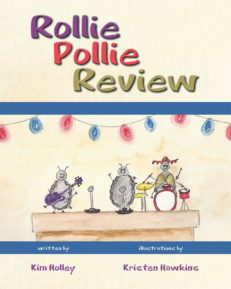 How fun would it be to hear stories of world travels from a furry little rodent and see colorful illustrations as well? 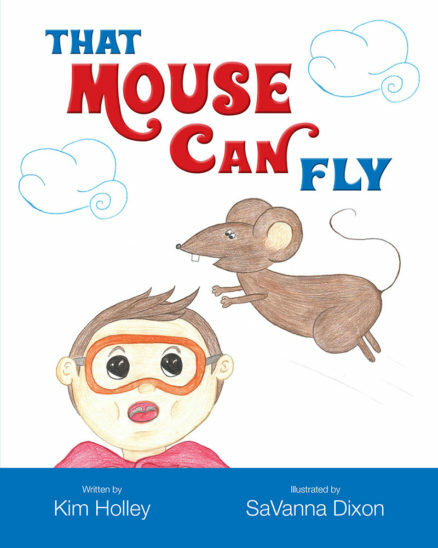 Listen to the story of That Mouse Can Fly and let your imagination soar. 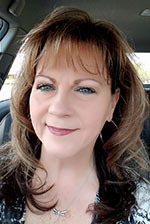 Kim Holley was born in Kansas City, Missouri, and currently lives in rural southeast Kansas. 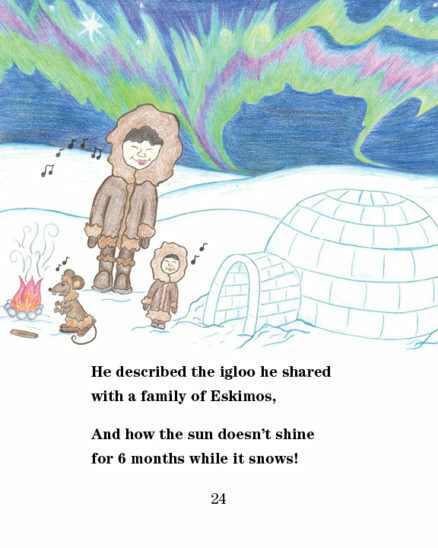 She has been writing personalized poetry for her family and friends for over 30 years. 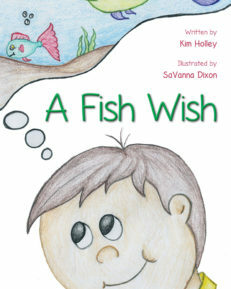 She began writing children’s short stories based on her grandchildren’s adventures as well as stories she’s developed on her own.